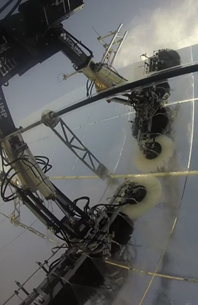 Tower & Parabolic Trough plants are the most common plants worldwide. 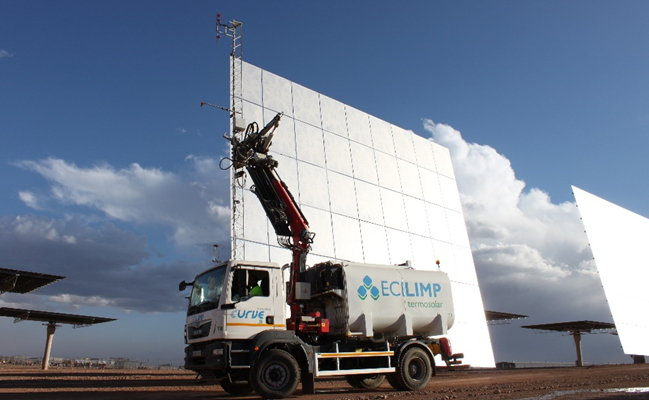 ECILIMP Termosolar has developed a New Generation of their Cleaning Tools under the MinWaterCSP project (Minimized Water Consumption in CSP plants). This project solution has been entirely developed in Spain and tested both in Spain and Morocco. The optimization of the Cleaning Water consumption in CSP Plants is a huge effort considering these plants are increasing their mirror surface in the meantime they maintain or reduce the Cooling Water consumption. These traditional cleaning technologies has the advantage that they are reliable and they can be implemented anywhere in the world. So, ECILIMP Termosolar bets for these developments in order to provide the best cleaning services wherever a client requires warranting an improvement of their Average Cleaning Factor, using the most optimized amount of water and always regarding the scratching effects and the mirror integrity. 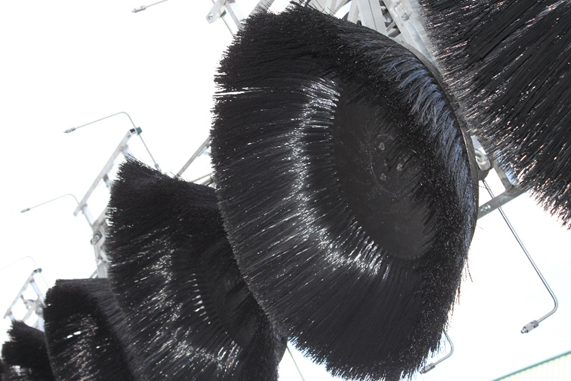 Both of them are able to clean more than 200 heliostats per shift both in brushes or spray. They incorporate a new cleaning algorithm, called Smart Cleaning, which calculates the exact amount of water that the user needs regarding the Cleaning Factor (CF) previously to cleaning. CURVE is the final solution! Using the best accomplishment to the Parabolic Trough ever, CURVE always spend the optimized amount of water! One of the main goals of the MinWaterCSP is the reduction in a 25% of the Cleaning Water use. 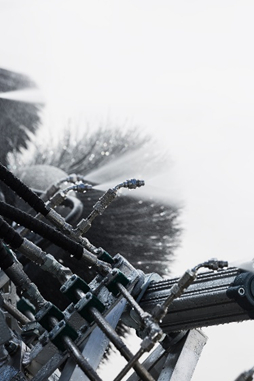 The technology developed under the Work Package “Cleaning Activities” has achieved this goal since ECILIMP has achieved a total of reduction of 25% for Sprays tools and 35% for brushes tools. 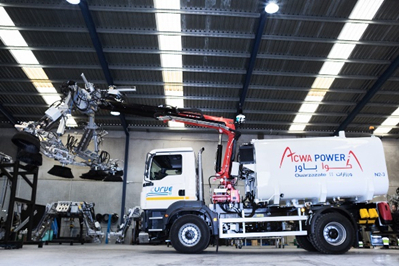 It is a very well-focused company which has grown thanks to diversification through many years of well service and reliance with their clients. So, ECILIMP Termosolar raised from one of these diversifications of the Industrial Cleaning Services which allow to put ECILIMP in an international scope. 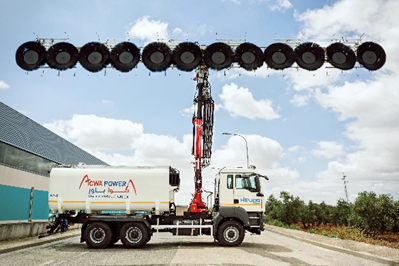 Nowadays they are considered the best mirror cleaning company and thanks to the EU project MinWaterCSP, the one with the best cleaning technology. 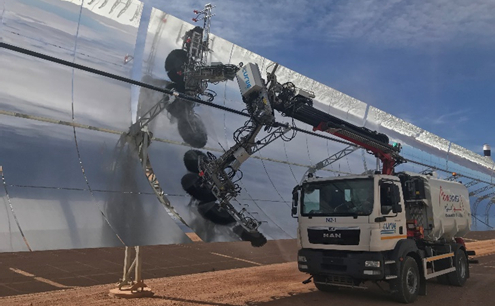 Thanks to these developments, ECILIMP has achieve important contracts with Moroccan CSP operators in order to supply the entire necessary fleet for their CSP plants, as well as many international supply and services offers have been done during last months.